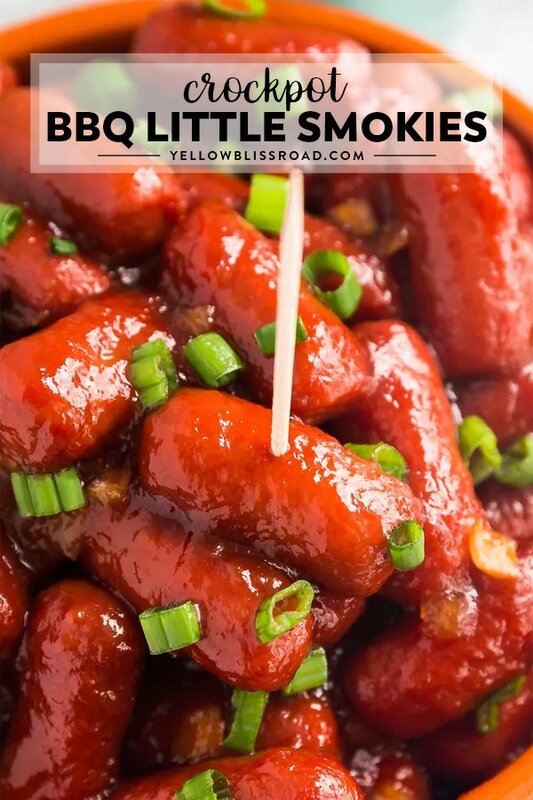 This Crockpot BBQ Little Smokies recipe is a game day must have because they’re super easy to throw together and your slow cooker does all the work! Smothered in a homemade BBQ Sauce, they are little sweet and smoky bites of heaven. Little Smokies are are a great addition to your party spread, served alongside other delicious appetizers like Buffalo Chicken Nachos and Bacon Wrapped Chicken Bites. Is it even a party without Lil’ Smokies? 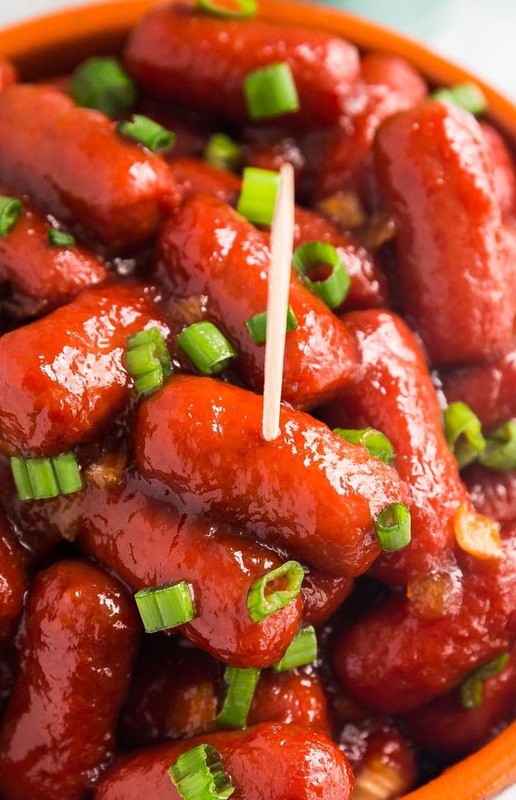 Also known as cocktail weenies, they’re a mainstay at every get-together we have around here, especially game day get togethers! And what’s not to like? I mean they’re basically mini hot dogs in a sweet and smoky barbecue sauce! I could eat a whole bowl of them with no regrets. I especially love that this is a dump-and-go recipe. You dump the ingredients into the pot and give it a quick mix, then you let the crockpot do the work. Dump recipes have been a big focus for me lately and I’ve created a new series on my blog sharing a variety of dump dinner recipes to take all the hassle about getting great meals on the table. 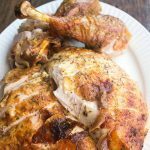 You can get all the info about that and tons of awesome recipes for dump dinners by clicking over to the dump recipe main page. Place the ketchup, brown sugar, liquid smoke and minced onion into the pot of the slow cooker and mix well to combine. Add the Lil’ Smokies and stir until everything is evenly coated. Cover and cook on high for 2 hours or low for 3 hours. Switch the slow cooker to warm and serve them from the pot (or place them in a prettier bowl if serving right away). I like to put some chopped green onion on top for color but this is optional. These can also be cooked in the instant pot for 5 minutes on manual high pressure with a natural release for 10-15 minutes. If the sauce isn’t thick enough for you, remove the Lil’ Smokies and reduce the sauce on the saute function until it reaches your desired level of thickness. These will last up 3-4 days covered in the refrigerator. If you aren’t into the smoky flavor, you can substitute the same amount of soy sauce for the liquid smoke for an Asian-inspired flavored sauce. ARE LIL SMOKIES FULLY COOKED? 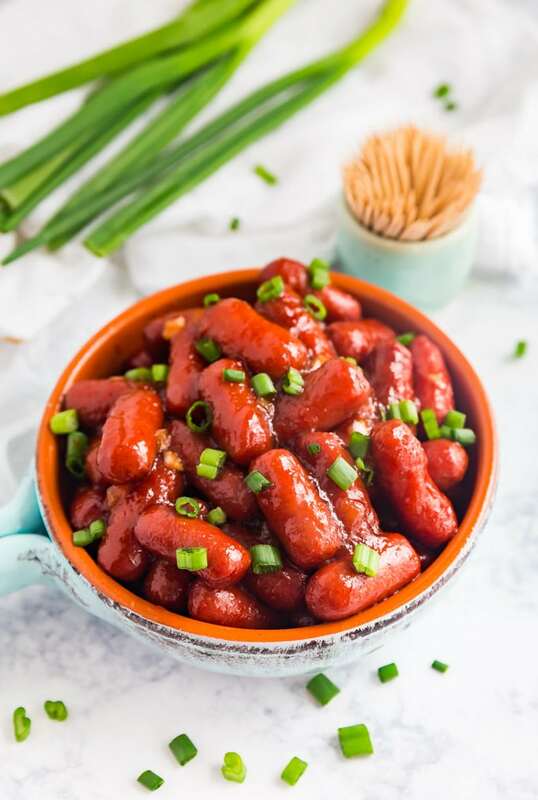 Little Smokies smothered in sweet and smoky barbecue sauce are a great appetizer because they are so simple to prepare. Since the sausages are fully cooked, they require only simple reheating, so all you have to do is prep the sauce. 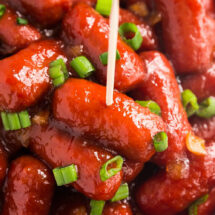 Crockpot BBQ Little Smokies are a game day must have! They're super easy to throw together and then the slow cooker does all the work- everyone will love them! Place ketchup, liquid smoke, brown sugar and onion into the crockpot. Stir to combine. Add Little Smokies and stir until everything is well coated. Cover the crockpot and cook on high for 2 hours or low for 3 hours.